For more than a year, Premiere Bro has been monitoring Premiere Pro content across many blogs, forums, and social media channels. Since May 2015, Premiere Bro has curated Premiere Pro news, tips, and tutorials in Week in Premiere, the Premiere Pro Week in Review (#WeekinPr). I have seen some crazy Premiere Pro tutorials. More importantly, this social listening gives Premiere Bro a unique perspective, one that is well-informed, on current Premiere Pro resources. This list is not comprehensive or complete. The following Premiere Pro resources are the recommendations of Premiere Bro and are subject to change. Use the comments section below to suggest other Premiere Pro resources. Seriously, give credit where it's due! Premiere Bro has not been bribed to feature anyone or anything in this guide. Apologies in advance for any unintentional offense caused by this post; it's intent is to help all Premiere Pro users by providing and promoting free Premiere Pro resources. They are professional in content and quality. Click the image icons on the left to go to YouTube or Vimeo. Websites, blogs, and Twitter pages have been hyperlinked in the resource descriptions. Adobe Creative Cloud - The Adobe Creative Cloud YouTube channel is home to official Premiere Pro video content, including product demonstrations, user testimonials, and new release features. In addition, Adobe also provides a rich library of video tutorials on the Adobe Premiere Pro tutorials page. This is a highly recommended starting place for any Premiere Pro tutorial search. VideoRevealed - By far and away, VideoRevealed posted the most Premiere Pro tutorials in 2015. There were times 3-4 videos were published a week! There's no indication 2016 will be any different. Host, Colin Smith, is an excellent instructor and he covers a wide range of Premiere Pro topics. His channel is a must-subscribe. Follow Colin on Twitter @VideoRevealed. Cinecom - Everybody knows video tutorials can be a little rough around the edges when it comes to video and audio quality. But not for Cinecom. Owner and instructor, Jordy Vandeput, has an engaging style and polished presentation. His personality and high production value make Cinecom's Premiere Pro tutorials a pleasure to watch. Follow Jordy on Twitter @JordyVandeput. Surfaced Studio - Surfaced Studio tutorials are their own category of "edutainment". With a large focus on effects, founder and frontman, Tobias, delivers high quality Premiere Pro and After Effects tutorials with humorous narratives. Follow Tobias on Twitter @surfacedstudio. reTooled.net - Josh of reTooled.net posts videos with every new Premiere Pro release. These videos have some of the deepest dives into new Premiere Pro features. reTooled.net also has a long backlog of great Premiere Pro tutorials. Follow reTooled.net on Twitter @reToolednet. The Premiere Pro - Paul Murphy a.k.a. The Premiere Pro creates tutorials that go beyond the how-tos of editing and offer advanced Premiere Pro workflow tips. Paul's tutorials are rich with Premiere Pro insights, usually including some technical knowledge on how the software works. Follow Paul on Twitter @thepremierepro. Chinfat - Perhaps the most unique name for a YouTube channel for post production software tutorials, Chinfat's tutorials are thorough, averaging 20 minutes a pop. Unlike the name suggests, these tutorials are lean and mean, packed with relevant content. Chinfat is the author of one of the most popular Lumetri Color panel tutorials. Rampant Design - Rampant Design is a style effects company that launched the Ask Rampant (#AskRampant) tutorial series in 2015. In this series, Sean Mullen, Rampant Design co-founder, answers customer's editing questions. These tutorials will change the way you edit, especially when it comes to creating effects and visual embellishments. Follow Rampant Design on Twitter @rampantdesign. Roberto Blake - This list would be incomplete without Roberto Blake's Premiere Pro tutorials. His tutorials are an essential watch for anyone starting out in Premiere Pro. Roberto may wear the same hat in all his videos, but he wears MANY hats when it comes to being a creative entrepreneur. Check out his other work, including this free e-book: 7 Points of Personal Branding. Follow Roberto on Twitter @robertoblake. Stan Arthur - Stan has a sweet collection of Premiere Pro tutorials, many of which focus on quick fixes and solutions for common editing problems. His tutorials are interspersed on his YouTube channel with personal projects, including work examples and some great original music! Follow Stan Arthur on Twitter @stanarthur. Ripple Training - Last year, Ripple Training kicked off a wonderful Premiere Pro in Under 5 Minutes tutorial series. We all know many tutorials would do better to skip the intro and get right to it. That's what this series is; nothing but that Premiere Pro sweet stuff in five minutes or less. Follow Ripple Training on Twitter @RippleTraining. Olufemii Tutorials - Olufemii Tutorials have a lot of style and will teach you how to have the same with advanced effects and transition tutorials. Josh Enobakhare, the face of Olufemii Tutorials, offers a lot of good Premiere Pro training, Watch his series on editing in Premiere Pro CC 2015. Follow Josh on Instagram @MadeByOlufemii. Casey Faris - Casey has several Premiere Pro videos on his channel. But most notable are his color correction tutorials. If you are wanting to improve your Premiere Pro color game in 2016, start with watching Casey's Lumetri Color panel tutorials. Follow Casey on Twitter @CaseyInHD. Corey Machado - Corey had a good run in 2015, posting short Premiere Pro tutorials every Thursday. Hopefully he makes a return in 2016. Until then, he leaves behind some very helpful videos. Corey focused on practical Premiere Pro tips and real-life editing scenarios. Follow Corey on Twitter @Corey_Machado. Click the image icons on the left to go to Twitter pages. Websites, blogs, and videos have been hyperlinked in the resource descriptions. Adobe Premiere - This is the official Twitter handle for Adobe Premiere Pro. Follow for the latest Premiere Pro news, announcements, blog posts, and tutorials. The team behind this Adobe Twitter handle does an amazing job responding to customers and, most importantly, keeping it personable. Vashi Nedomansky - Vashi is one of the most influential Premiere Pro editors in the industry. He supported both the post production teams for Gone Girl and Deadpool, while they were editing in Premiere Pro. Vashi has a well-known blog, Vashi Visuals, which, of course, has some awesome Premiere Pro content. I would feature Vashi again in the blog resource section, but his blog is about much more than just Premiere Pro — it's a read-worthy blog for all editors. Dave Helmly - Dave is the Sr. 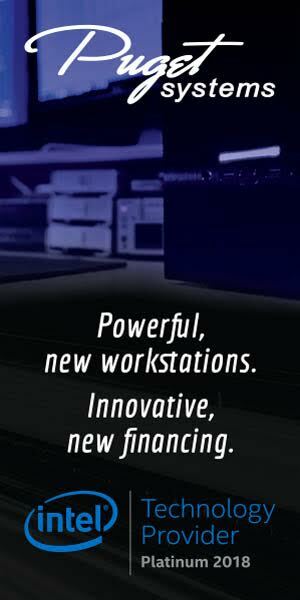 Manager World Wide Technical Field Team ProVideo for Adobe. In other words, you should follow him. Check out the Dave Helmly YouTube channel for a whole lot of Premiere Pro videos including: "What's New" videos, sneak peaks, tips, and tutorials. Dave also runs the DAV's TechTable blog, an excellent source for video and audio hardware solutions for Adobe video applications. See these popular posts on using Premiere Pro and Encore CS6 for DVD and Blu-Ray discs. Scott Simmons - Scott is one of those core users of the post production Twitter community that all editors should follow. He is proficient in many NLEs and often shares his thought on all of them, including Premiere Pro. His Twitter handle is often seen in high-level Premiere Pro Twitter chats. Scott is founder of The Editblog, now migrated with Pro Video Coalition, where he currently contributes. Derek Lieu - If you like Premiere Pro tips and cats, then you should follow Derek. His tips are unique because they are usually visual and include an animated GIF. Derek also has a blog and there's a good chance you've already read one of his posts. He is the author of the ever-popular 26 Simple Tricks for Faster Editing. Brady Betzel - Brady is an online editor, as well as tech reviewer for postPerspective and Post Magazine. The majority of Brady's Tweets may not directly speak about Premiere Pro, but he links to a lot of valuable Premiere Pro content. For that alone, he's worth following! Adobe Cutter - Any Twitter handle with the bio "quick editing tips for Adobe Premiere Pro", is a no-brainer follow. Adobe Cutter's Premiere Pro tips are Tweeted in numerical order. The identity of the editor behind this Twitter handle remains a mystery. Nick Montgomery - Nick is a freelance editor who founded his own company, Merc Media. He has a great Twitter presence—it's not rare to see him sharing Premiere Pro timelines. Nick cohosts the Command+Edit podcast alongside partner in crime Josh Short, who has not yet come to the Premiere Pro side. Matt Christensen - Matt is a finishing editor for Blue Giant and has a pretty stellar body of work. He also has a great mind for the technical side of Premiere Pro and it shows on Twitter and his blog. Check out some of his thoughts on Adobe Video World 2015 Day 4. Jason Bowdach - Jason is a colorist and does a lot of work in Resolve. But he also knows his way around Premiere Pro. This knowledge often spills into his Twitter feed and it's worth following. Jason is the founder of Cinetic Studios, which provides some great coloring and editing resources, including these Free 4K Film Grain overlays. There's more! It goes without saying that you should be identifying Adobe employees and certified Adobe trainers and following them on Twitter. Here are just a few to get you started: Al Mooney, Jason Levine, Eric Philpott, Meagan Keane, Maxim Jago, Christine Steele, Jeff Greenberg, Richard Harrington. Click the image icons on the left to go to blogs. Image icons link to Premiere Pro blog categories when applicable. Websites, Twitter pages, and videos have been hyperlinked in the resource descriptions. Premiere Pro - If you are a Premiere Pro user, you need to follow this blog. It's the #1 place for new feature announcements, bug fixes, and other release notes. The blog regularly spotlights Premiere Pro users and how Premiere Pro is being used in the industry. Premiere Pro.net - This is Jarle Leirpoll's blog and it is a Premiere Pro presets treasure chest. Many are familiar with Jarle's presets, but if you're not, go to Jarle's Premiere Pro Presets 3.0 for a free download of 98 presets, including looks, transitions, scaling effects, and more! Jarle, thanks for being a real bro! Lynda.com - A leading online learning company, Lynda.com provides high-quality Premiere Pro courses, all of which include several free videos. The Premiere Pro Guru series is a terrific series for mastering Premiere Pro. If you're on the fence about subscribing to Lynda.com, wait for a course you want to take, then sign up for the 10-day free trial and binge learn! Need longer? Lynda.com allows you to cancel and reactivate as needed. Find out if your company, school, or library offers free access to Lynda.com. Creative COW - Most Premiere Pro users are already familiar with Creative COW. How may times have you Googled an issue and landed on a Creative COW discussion thread? This peer-to-peer support community has more to offer than just forums, it has a large collection of top-notch Premiere Pro tutorials as well. Jonny Elwyn - Jonny has one of the most popular one-man-band post production blogs on the web. He is an exceptional curator when it comes to Premiere Pro content. He usually publishes a thorough Premiere Pro Tips and Tricks post with every new release of Premiere Pro. Jonny also contributes to other post production blogs such as The Beat by Premiumbeat. Follow Johnny on Twitter @jonnyelwyn. 4K Shooters - This vibrant filmmaking blog has a lot of helpful gear and equipment reviews. When it comes to Premiere Pro, 4K Shooters will publish posts featuring a new video tutorial, providing deeper context and additional tips. Follow 4K Shooters on Twitter @4KShooters. VideoHelper - This production music site has attitude! VideoHelper recently jumped into the Premiere Pro game with a couple of very helpful posts such as this Everyday Premiere Pro Secrets. I think we can expect to see more posts like this in 2016! Follow VideoHelper on Twitter @VideoHelper. Wipster announced the Premiere Pro Masterclass towards the end of 2015. It looked to be very promising and will hopefully resume very soon. Wipster is a video review platform; the Wipster blog does not have a Premiere Pro category so you will need to search for installments. Follow Wipster on Twitter @wipsters. Phanta Media - This Toronto-based, corporate video production company, has an extraordinary (and very active) blog, which became home to the Let's Learn Premiere Pro (#LLPP) tutorial series by Phanta Media's Head of Post Production, Kyle Edward Wilson. It has been a while since the last episode; hoping 2016 brings a new episodes. Follow Phanta Media on Twitter @PhantaMedia. digitalfilms - Oliver Peters is seasoned editor, colorists, post supervisor and contributing writer to many post production publications. His blog is a great resource for filmmakers and editors alike. There's ONLY ONE THING missing in all of this; a "Premiere Pre Resources" tab on his site's navigation bar. Despite that, Oliver provides some excellent posts for Premiere Pro, including this Lumetri Plus SpeedGrade Looks with a free download of custom SpeedGrade looks. Click the image banners to go to group page. The following groups, public and closed, are dedicated to sharing Premiere Pro knowledge and helping Premiere Pro users. These groups are very responsive when it comes to troubleshooting Premiere Pro issues. In fact, it's not surprising to see user questions receive multiple answers within minutes after posting. There's a lot of expertise — many of the people featured in this post are also members of these groups. I hope this list exposes new resources to follow within the Premiere Pro user community. Of course, this list will NEVER be complete. It's like a film; never finished, just abandoned. Only, in this case, I would like to keep this post up-to-date throughout 2016. Please use the comments section below to recommend other Premiere Pro users or resources for this list. Otherwise, I apologize for overlooking any obvious candidates. Thanks to ALL contributors to the Premiere Pro user community. Your work is aways anticipated and appreciated by Premiere Bro.